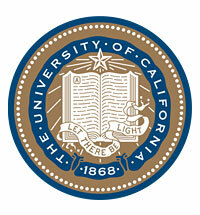 The University of California has reached a tentative contract agreement with a union representing nearly 12,000 nurses at campuses across the state. If ratified, the contract with the California Nurses Association would provide annual 4 percent wage increases plus additional step increases through 2017, the university said in a news release Saturday. The nurses agreed to a no-strike clause that means they will not participate as planned in a one-day strike called for Wednesday by another union representing campus workers, the university said. That union, the American Federation of State, County and Municipal Employees, last week called one-day unfair labor practice strike at UC campuses and medical centers. The union has been at odds with UC over contracts for more than 21,000 service and technical workers for more than a year. CNA represents about 2,000 workers at the UC Davis Medical Center in Sacramento. AFSCME represents about 2,900 patient care workers and 1,200 service workers at UC Davis. The CNA has recently signed contracts with two other health systems serving the Sacramento region. In October its members ratified a contract with Sutter Health; in September they did the same for a new contract with Dignity Health. It remains at odds with Kaiser Permanente, however.